1.5.4 英語放送スクリプト編: 近鉄特急・駅のホーム案内 - dutcheez’s Fun with English! Thank you for taking the Kintetsu Limited Express. This is the Kintetsu Limited Express Shimakaze, bound for Osaka Namba. This train will be stopping at Ugata, Toba, Uji Yamada, Iseshi, Yamato Yagi, Tsuruhashi, and Osaka Uehommachi. The next stop is Ugata. This train has reserved seats only. Please use the seating indicated on your ticket. Please note that a Shimakaze ticket is required to board this train. Passengers using a private room also require a special ticket. A canteen and cafe seating are located in car number 3. Baggage lockers are located in cars 1 and 6. Restrooms and powder rooms are in cars 2, 4, and 5. Please refrain from smoking except in the designated smoking room located at the rear of car number 4. We will soon make a stop at Yamato Yagi. For trains to Kashihara Jingu mae and Yoshino, please go down the central staircase to track 5. For Tenri, Nara, and Kyoto, please go down the stairs at the front to track 6. After leaving Yamato Yagi, this train will be stopping at Iseshi. We will be arriving at Iseshi in approximately 5 minutes. Please check that you have all your belongings before leaving the train. We will soon make a stop at Kashikojima. Thank you for taking the Kintetsu Limited Express Shimakaze. In order not to bother other passengers, when on the train, please switch your mobile phone to silent mode and refrain from speaking on the phone. If you wish to speak on the phone, please do so on a deck. A train bound for Nara is arriving at track 2. 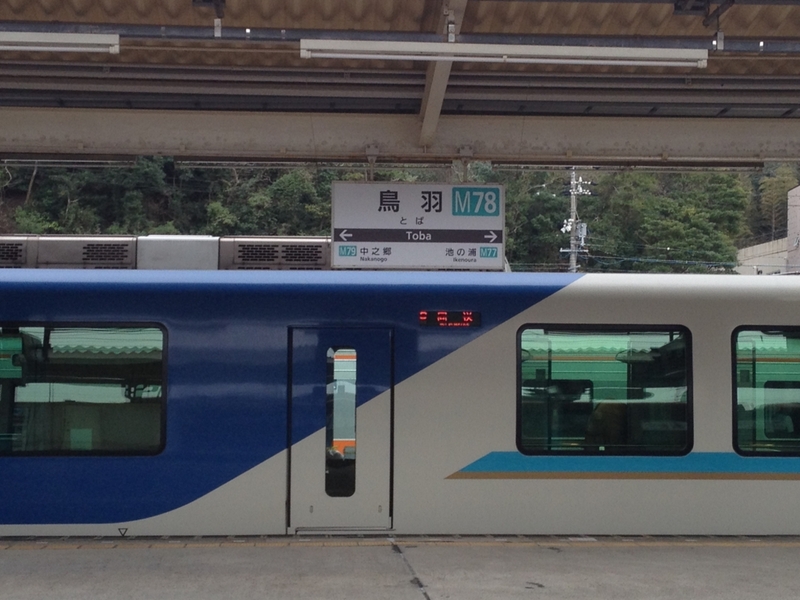 The train at track # is a/an <種別> bound for <行き先>. 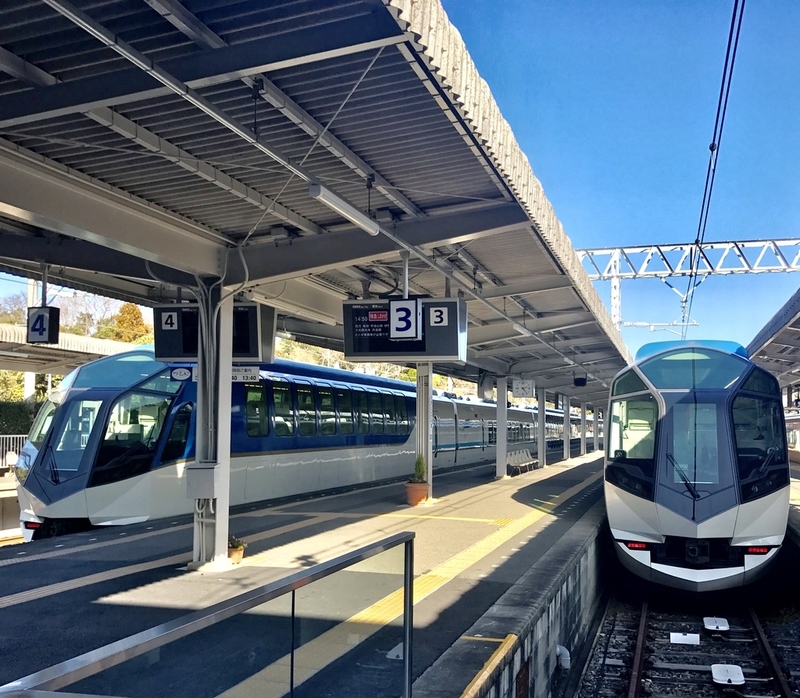 To board a limited express, you need a standard fare ticket and a limited express ticket. To board a limited express, a limited express ticket is required in addition to the standard fare (ticket). ところで特急については All seats are reserved という案内はしなくていいのでしょうか?